Our shopping cart is not fully automatic, every order is reviewed for Inconsistencies and errors. If we see anything out of order that no customer created notes explain, we will call or E-mail you before we process your order. This classic caster is strong and reliable. Wheel has a nominal 1" tread width. The rig features a dual ball bearing raceway for easy swiveling and greater load capacity. 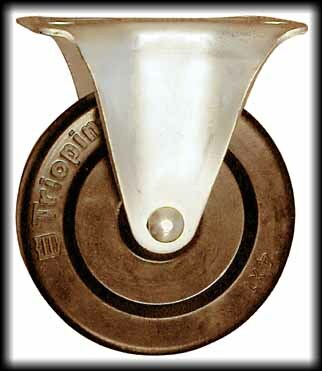 The Polyurethane wheel is soft and resilient and recommended for all floor types. 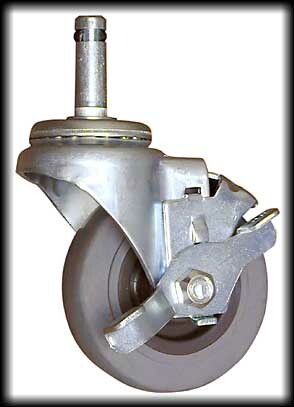 This caster has a 90# weight rating. Note: rigid casters not available. The optional tread brake is a $1.29 up charge. By default the standard mounting is a P20 plate, (see below) if you wish one of the other mounts click the radio button just below it. Mounting pictures are not to scale. 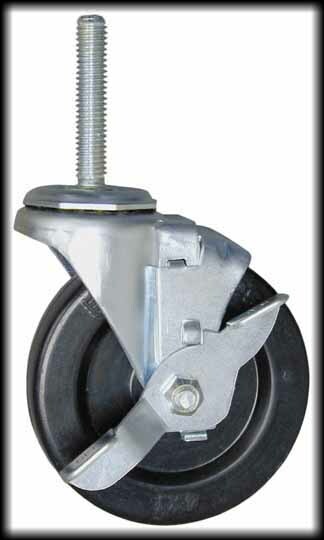 The Mirage Rubber wheel is soft and non-marking and recommended for Hard floors like wood (load capacity 100#ea.). 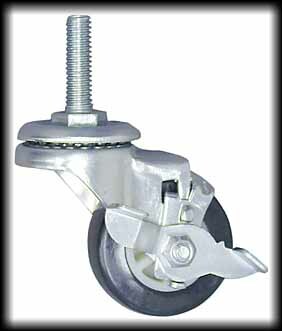 The Hard Rubber wheel has a higher load capacity (125#ea.). The optional tread brake is a $1.57 up charge. Comes in P20 plate only. 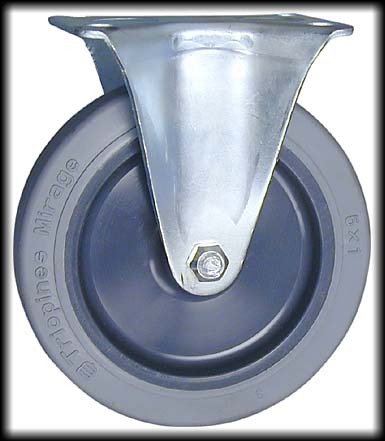 The Mirage Rubber wheel is soft and non-marking and recommended for Hard floors like wood (load capacity 125#ea.). The Hard Rubber wheel has a load capacity of (140#ea.). The optional tread brake is a $1.72 up charge. 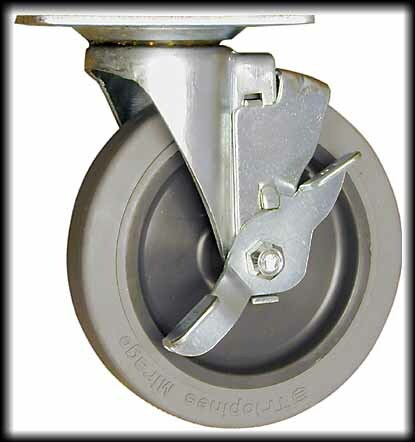 The Mirage Rubber wheel is soft and non-marking and recommended for Hard floors like wood (load capacity 125#ea.). 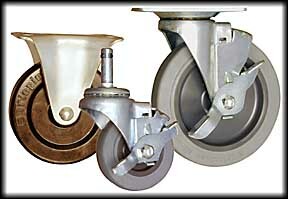 The Hard Rubber wheel has a higher load capacity (140#ea.). 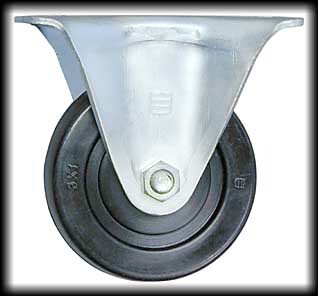 The Mirage Rubber wheel is soft and non-marking and recommended for Hard floors like wood (load capacity 135#ea.). The Hard Rubber wheel has a higher load capacity (145#ea.). The optional tread brake is a $1.56 up charge.